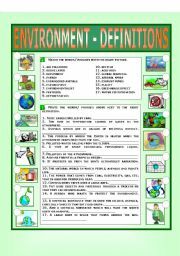 There´s an explanation of the use of these articles. In the first exercise, students circle the correct form in each sentence and then they write a, an, the or zero article in the sentences and match them with the pictures. B&W version included. 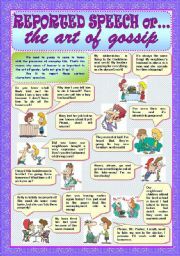 We need to gossip to come to terms with the pressures of everyday life. That’s the reason why sense of humour is so important to the art of gossip. Let’s not give it up! 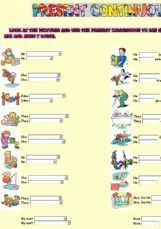 :) Students use it to report some cartoon characters’ speeches. Have a lovely week! 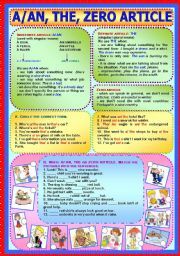 Reading comprehension exercises about holidays; present simple vs. present continuous; past simple. Reading about the future of the Earth. 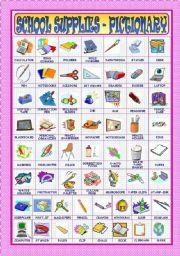 The comprehension activities include true / false and sentence completing. 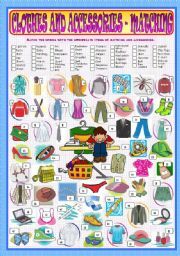 The grammar exercises include building sentences using the first conditional, relative clauses and passive voice. 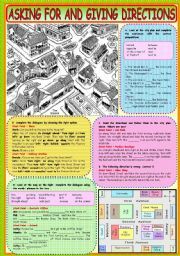 There is also a guided writing activity called “the car: dream machine or nightmare?". 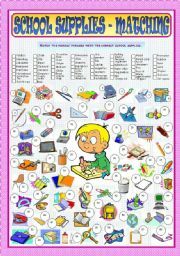 Reading comprehension exercises about the difference between the Americans and the Europeans; past simple; past simple vs. past continuous; essay on the students´ impressions on the American people as Englishmen in New York. 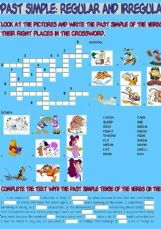 Students fill in a crossword with the past simple of the verbs given, using the pictures as clues. Then they complete a text with the same verb tense. Students label a picture by choosing from the words listed. 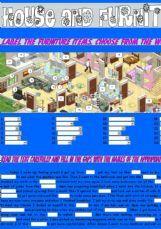 Then they complete a text with the names of the appropriate furniture items. 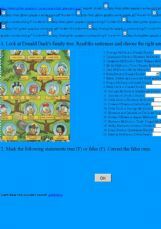 Students look at Donald Duck´s family tree and complete the sentences by choosing the correct option. 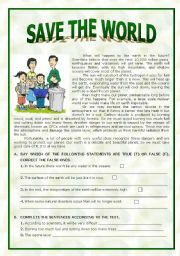 Then they mark the statements true or false and correct the false ones. 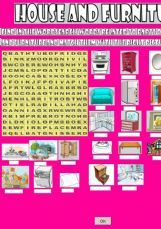 Students find parts of the house and furniture items in the wordsearch and then match the words with the pictures by filling in the gaps.